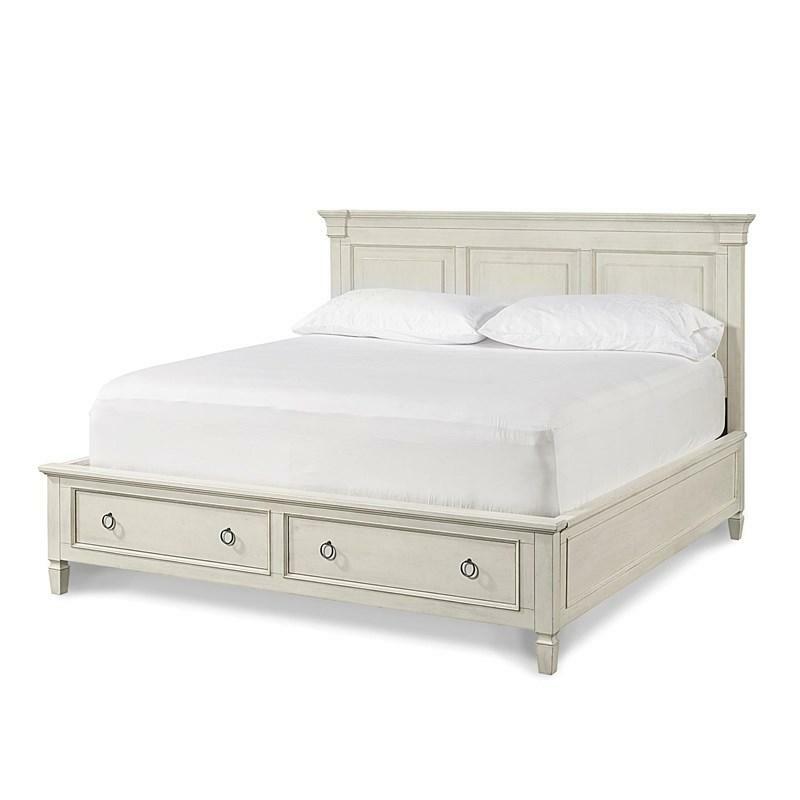 This panel storage bed offers a timeless silhouette combined with metropolitan sensibility in a relaxed leisurely attitude. 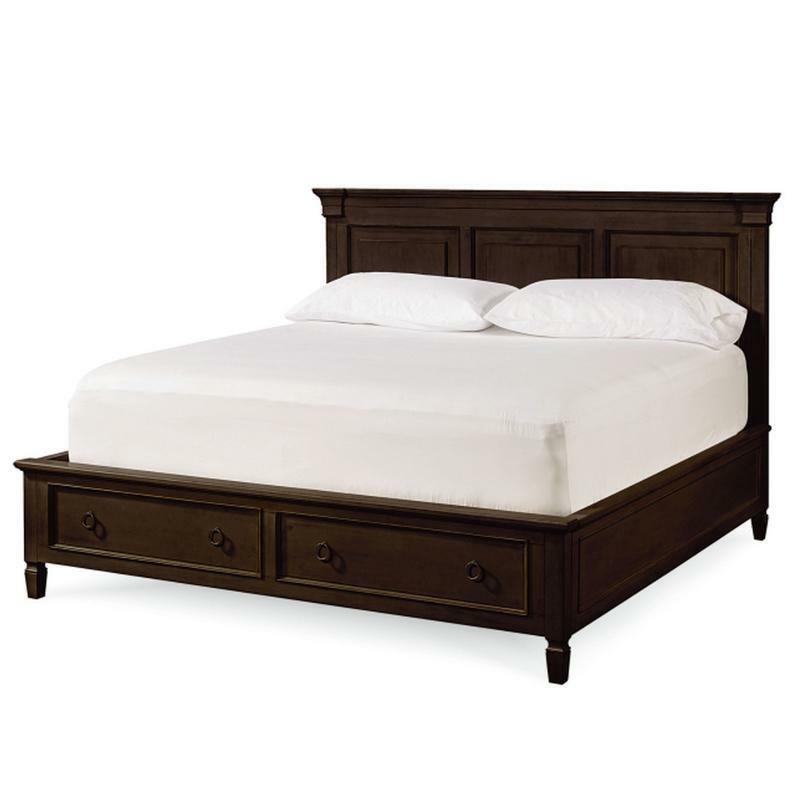 Crafted of hardwood solids and maple veneers, Summer Hill's features a lightly distressed, deep Midnight finish with subtle rub-through that speaks of years of loving service. It has a beautiful panel design and is ornate with profile mouldings. Simple, straightforward lines with softened edges invite relaxation, while exquisite details signify a sophisticated sense of style. Summer Hill represents comfort and an easy style of living for a casual state of mind.